Highlights from the 2017 production of UK Choir's "Collage." LEXINGTON, Ky. (Nov. 28, 2018) — From University of Kentucky artists' studios and Singletary Center for the Arts' stages to The Square in downtown Lexington, the talented students and faculty of the College of Fine Arts will bring good tidings to you and yours this holiday season with everything from the best in visual arts to classic annual offerings of music and dance Nov. 30-Dec. 17. With unique artistic treasures to purchase and bountiful programs of music and dance sure to enchant, there is something to tug on any Grinch’s heart. Holiday celebrations will begin with Open Studio. UK School of Art and Visual Studies will throw open its doors to the public for this beloved visual arts event at the university's Art and Visual Studies Building. This one-of-a-kind holiday festivity for art lovers showcases the talent of the university's students and celebrated art faculty. As part of this UK holiday event, the studios of graduate and select undergraduate students will be open with these young artists present to talk about their ongoing projects. A variety of artwork will be on display, including metalwork, fiber, paintings, photographs, drawings, ceramics, plaster casts, printmaking and woodwork. Much of this work can be purchased for that special someone this gift-giving season. Open Studio also includes the Carey Ellis Juried Student Show, featuring the best UK art students' work over the last year. And to round out the festivities there will be arts and crafts for children. 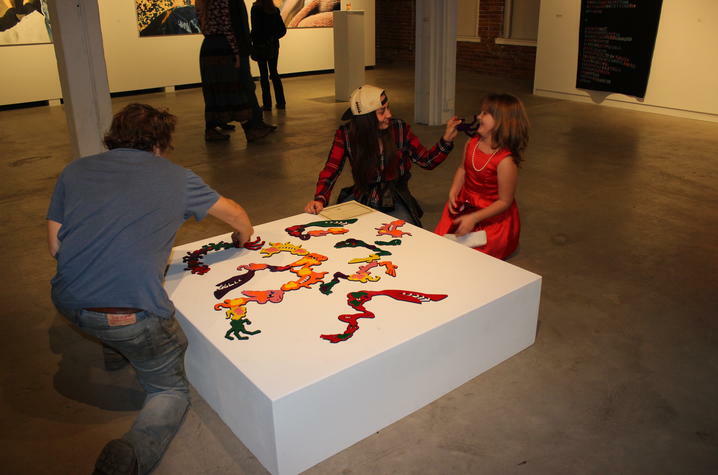 Check out Open Studio from 6 to 9 p.m. Friday, Nov. 30, at the Art and Visual Studies Building. This event is free and open to the public. More than 500 of UK School of Music and Central Kentucky’s most talented musicians come together in celebration in the beloved “Collage” concerts at the Singletary Center for the Arts. 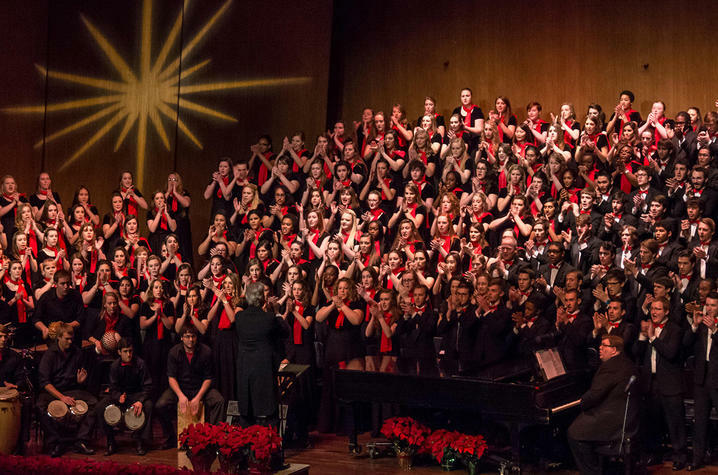 These holiday concerts will stir the soul beginning 2 and 7:30 p.m. Saturday, Dec. 1, and 3 p.m. Sunday, Dec. 2, at the Singletary Center Concert Hall. A local holiday tradition, “Collage” is presented by UK Choirs under the direction of Jefferson Johnson, director of UK Choral Activities, and Lori Hetzel, associate director of UK Choral Activities. The concerts showcase the department's highly praised student groups, UK Chorale; UK Choristers conducted by Elizabeth Wilson; UK Women's Choir; and UK Men's Chorus, as well as the UK Choirs' a cappella groups, the acoUstiKats, Paws and Listen and Blue Note. The concert is fast-paced and a visually exciting program featuring the best of holiday music from around the world. Along with the UK Choirs, this season’s concerts will feature performances by Assistant Professor Jacob Coleman on piano; Associate Professor Dieter Hennings on guitar; the UK Trombone Quartet led by Associate Professor Bradley Kerns; the SaxCats led by Professor Miles Osland; UK Blue Steel, a steel drum band led by Professor James Campbell; the UK Holiday Clarinets led by Associate Professor Scott Wright; and crowd favorite, the GrassKats, a bluegrass band led by Johnson. In addition to showcasing the UK Choirs and musicians at UK School of Music, each year "Collage" features the rich talents of the Lexington arts community. This year’s concert will include performances by local high school choirs and the Lexington Singers Children's Choir, conducted by Hetzel and alumnus Daniel Wesley. Tickets for "Collage" are $29 for general admission and $14 for students and children plus processing fees and sales tax. Tickets are available through the Singletary Center ticket office by phone at 869-257-4929, online at www.scfatickets.com, or in person at the venue. Join UK Opera Theatre and the Central Kentucky community as it gets in the spirit of the season at the annual old-fashioned holiday sing-along concerts, "Celebration of Song," Dec. 9, at The Square. The concerts are free and open to the public. 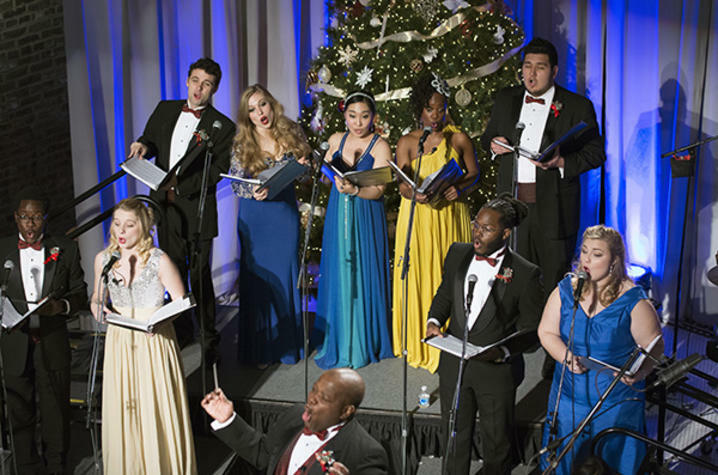 Conducted by Director of UK Opera Theatre Everett McCorvey, and presented in partnership with Alltech, "Celebration of Song" features performances of favorite carols by award-winning vocalists from UK Opera Theatre and special guest artists. Due to popular demand, there will be two performances of "Celebration of Song" again this year at 3 p.m. and 5:30 p.m. Sunday, Dec. 9, at The Square, located at the corner of West Main Street in downtown Lexington. Whether you want to join in a holiday tradition celebrated around the world with a viewing of Moscow Ballet’s "The Great Russian Nutcracker" or if you are looking to enjoy the season by taking in more local talent, like the Bluegrass Area Jazz Ambassadors or Bluegrass Youth Ballet, Singletary Center should be a stop on your to-do list. Direct from Russia, Moscow Ballet’s "Great Russian Nutcracker" has been hailed as a “knock out” by The New York Times. Audiences are sure to be enchanted by this production for the whole family with larger than life magical props, a 60-foot growing Christmas tree and Russian-made costumes and sets. "The Great Russian Nutcracker" will grace the Singletary Center stage 7 p.m. Monday, Dec. 17. Tickets for "The Great Russian Nutcracker" range from $68 to $28 based on seating location. For an extra-special experience, individuals may purchase platinum and gold circle tickets for $175 and $102 respectively. Platinum ticket buyers will receive a premium Nutcracker doll and a Moscow Ballet book with each ticket purchased. In addition, platinum ticket buyers will have a meet-and-greet opportunity before the performance which will bring purchasers back stage on a guided tour. Gold circle ticket buyers will receive a Nutcracker doll and the official Moscow Ballet book with each ticket purchased. 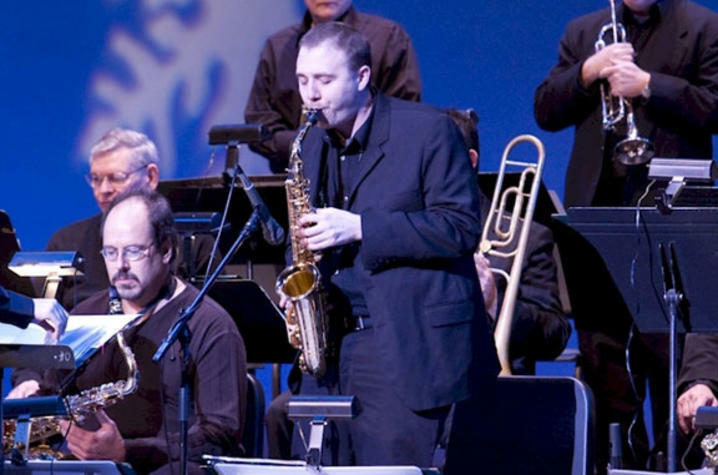 Leading up to the Moscow Ballet's visit, Singletary Center will welcome back the Bluegrass Area Jazz Ambassadors (BAJA) for the 15th annual Jazzy Holiday Concert. The concert, featuring Central Kentucky’s best jazz musicians, including many UK alumni, students and faculty, will warm up the season with the sounds of holiday jazz beginning 7:30 p.m. Tuesday, Dec. 11. Jazzy Holiday Concert tickets are $12 for general admission and $5 for children and students including sales tax and processing fees. Free tickets for UK students with a valid student ID can be picked up at Singletary Center ticket office before the day of the concert. For those interested in a shorter version of the "Nutcracker," the Bluegrass Youth Ballet will present "The Nutcracker in One Act" 7 p.m. Friday, Dec. 14, and 2 p.m. Saturday, Dec. 15. Based on a novel by E.T.A. Hoffman, Bluegrass Youth Ballet's production is a kid-friendly take on the magical tale of holiday adventure. Tickets for "The Nutcracker in One Act" are $20 for general admission, $17 for seniors and students, and free for children 2 years old and younger. To purchase tickets to these events at Singletary Center, contact the Singletary Center box office by phone at 859-257-4929, online at www.scfatickets.com, or in person. Processing fees and sales tax will be applied during transactions. The UK College of Fine Arts is the vibrant arts hub of UK. It's an incubator for creativity and discovery, offering quality educational opportunities for students and engaging arts experiences for the community. The college is comprised of the School of Music, the School of Art and Visual Studies, the Department of Theatre and Dance, the Department of Arts Administration, the Singletary Center for the Arts and the UK Art Museum.